"A Torn Envelope." Another woman is brutally murdered near Whitechapel, and the police receive a mysterious letter bearing the name... "Jack the Ripper." Five unsolved murders. Two of the greatest creators in the history of comics. One sprawling conspiracy, one metropolis on the brink of the 20th century, and one bloody-minded Ripper ushering London into the modern age of terror. 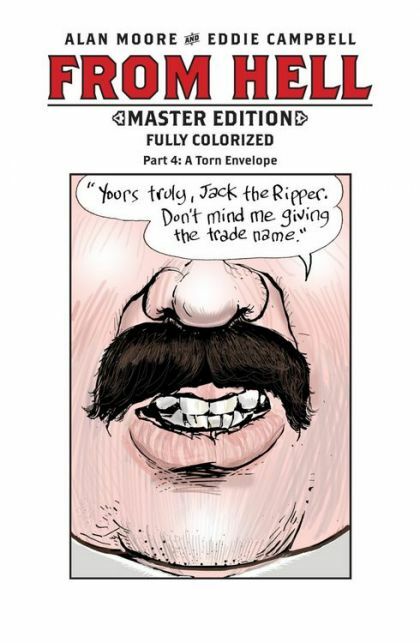 The award-winning bestseller FROM HELL, often ranked among the greatest graphic novels of all time, takes on haunting new dimensions in FROM HELL: The Master Edition, enhanced with impressionistic hues by Eddie Campbell himself. This volume contains Chapters 6 and 7, as well as all the original annotations. 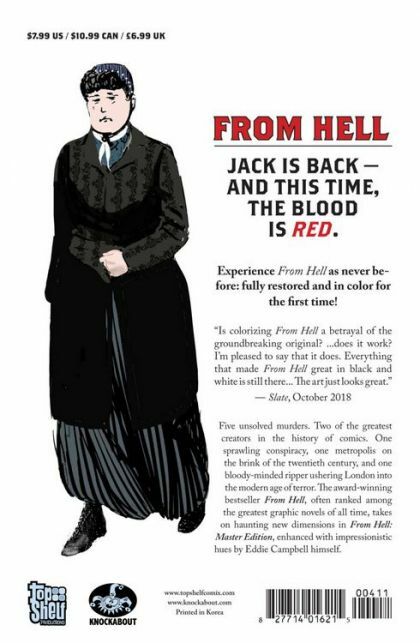 Experience FROM HELL as never before: fully restored and in color for the first time.